You know me, I seem to have a thing from “odd” countries – those places no one really thinks of when it comes to watches. As I write this, I’ve got a different Icelandic watch on my wrist, but perhaps one day I’ll have the please of seeing something from JS Watch Co in the steel. 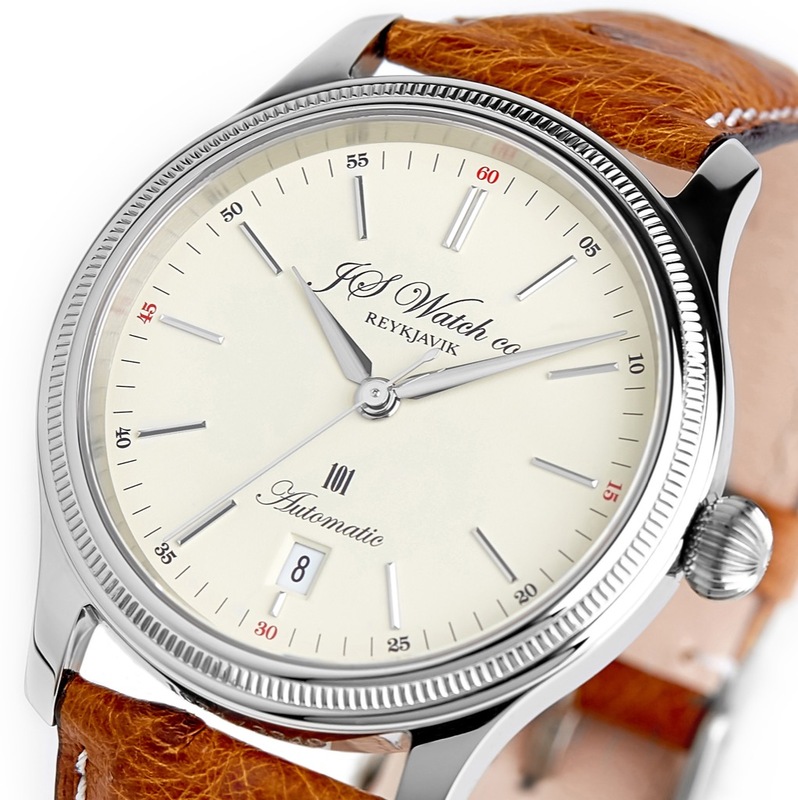 If that were the case, something like the JS Watch Co 101 10 Year Edition would be a lovely time. For me, the JS Watch Co 101 10 Year Edition ticks off a lot of the right boxes. Compact sizing? Yeah, 38.5mm x 10.3mm thick does that. Dress watch style? Let’s see – polish on the case, lancet hands, and a clean color palette (black or antique white) covers that nicely. A lovely (and serviceable) movement? Yeah, that’s covered here as well (a Soprod M100 Top Grade movement, for those curious). And last, one of my personal new favorite details, a fluted bezel. Now, why is the JS Watch Co 101 10 Year Edition called what it’s called? Well, back when it was 2015, it marked 10 years of the 101 collection being in existence, and it was at that 10 year mark that the dial colors (Shown here) were introduced. So, it’s not a new watch, per se, but that’s ok. You see, with dress watches, somewhat timeless looks work in your favor, as you can wear them for years and years and not have it look odd. Who we think it might be for: Well, someone who has similar tastes to me, I guess! Material: Surgical grade German Stainless Steel “316L”. Date display at six o’clock.